Ermanno is an experienced local tour guide, he knows Venice very well, we have this walking tour with him, and discovered many places only locals would know, very entertaining and educational, we give him 5 stars! TOUR GUIDE RESPONSE: Thank you very much to you, wonderful family. Loved our tour. Learned a lot of history of Venice and Ermanno was always pleasant and answered all our questions. Highly recommend! TOUR GUIDE RESPONSE: Thank you very much ,wonderful couple !! Ermanno is the best. His knowledge of the history is exciting. He even gives a bit of the local color of today. I would recommend this tour to anyone, especially if you have a short time in Venice. Very small groups work best for the personal interaction. Thank you Ermanno. TOUR GUIDE RESPONSE: Thank you very much Richard !!! Ermanno was an excellent guide and we could not have been happoer with our tour! He was VERY knowledgeable, friendly and flexible with respect to our schedule and what we wanted to see and learn about. After the tour was over, Ermanno even took the time to walk us all the way back to our cruise ship, which was on his own time and far from where the tour ended. We would definitely recommend Ermanno to anyone who wants a fantastic guided tour through Venice. TOUR GUIDE RESPONSE: Thank you Berry ,you and your wife ..wonderful people!!! A wonderful way to spend several hours with a local Venetian, understanding the history, culture and people!! We highly recommend Ermanno as he we provide you a better understanding as you walk through the streets, ally ways and across the bridges away from the tourist and crowds, hearing, seeing, touching, feeling and smelling the workings of this beautiful city, Venice. TOUR GUIDE RESPONSE: Thank you very much wonderful couple, Please don't forget in Venice you got a friend...don't forget your venetian friend..
Great tour! It was perfect for my family. As a native to Venice he not only provided the history but helped us understand much more the culture. Also he was a fun and very interactive guide. I highly recommend this tour! Ermanno was a fantastic guide and now a friend in Venice. Being a multi-generational native, he had wonderful history and perspective of the city. We were running a few minutes late, and he was flexible and responsive to our last-minute communications. He took a few family photos for us and had an abundance of energy and enthusiasm. He kept us away from the crowds and showed us areas we would never have found. It was a delightful 3 hours! TOUR GUIDE RESPONSE: Thank you, wonderful Family. Ermanno was a great guide in Venice - his hometown! We took us off the beaten path to learn the history of the city, so we were away from the crowds for awhile. We ended in St. Mark's Square. Venice is a fascinating city! TOUR GUIDE RESPONSE: Thank you very much ...wonderful family !!! Ermanno was wonderful! It made such a difference booking with someone who is a multi-generational Venetian who can tell you so much inside information and history that you just couldn't learn from someone else. This truly authentic tour is just what we were looking for as we only had one full day in Venice and walked for 3 hours solid and really packed in as full of an full experience as possible. Highly recommend! Ermanno provided us with a delightful tour full of information we never would have learned on our own...as well as showing us so much of Venice's beauty! Our walking tour was at just the right pace for us, and he spent time answering questions, offering a local's guidance as well as humor. The tour and Ermanno were great and highly recommended! Grazie!! TOUR GUIDE RESPONSE: Grazie ,wonderful people !!! Our entire family loved our tour with Ermanno -- he took us off the beaten track and to the major sites. We decided to invest in a private tour guide to get the most out of our time in Venice and it was was well worth it. Highly recommend! TOUR GUIDE RESPONSE: Thank you Very much!!! Wonderful family. You expect your tour guide to be informative - that's a given. If you're lucky, your guide is also savvy. He knows the obscure shortcut or the place to stand to take the perfect photo. If you're even luckier, your guide is charismatic, & his enthusiasm is contagious. If you're luckier still, your guide is personable, & at the end you feel like you've spent the morning with a friend. For us, Ermanno ticked each of these boxes. He gave us an enlightening perspective of his home town that we won't forget. Ermanno was exactly what our group had wished for. He knew Venice backwards and forwards and gave us the tour we wanted--away from the crowds, the special local neighborhoods and monuments, and a real "locals" view. He went above and beyond what was expected, and we hated to say goodbye to him. We would definitely recommend Ermanno for anyone going to Venice who wants an insider's viewpoint. TOUR GUIDE RESPONSE: Thank you very much !!!! Wonderful People ! A fun and interesting way to get to know venice on our first day. Ermanno is very Venice to the heart, knows so much and is also fun. 3 hours of walking through the city to understand the history, the layout and what is happening in the city today. It really is a great way to extend your view beyond St Marks and find the other amazing places in Venice. Couldn't have been better for us. TOUR GUIDE RESPONSE: Thank you Very Very much !!! TOUR GUIDE RESPONSE: Thank you Very much !!! Ermanno was a FANTASTIC guide for our first day in Venice! We appreciated the knowledge and color of a LOCALLY born Venetian. He had a great sense of humor, and was very flexible on timing and priorities we had. TOUR GUIDE RESPONSE: Thank you very much indeed !! TOUR GUIDE RESPONSE: Thank you, wonderful people. Nice man, not very informative. Very nice man but not that informative. TOUR GUIDE RESPONSE: Thank you, wonderful couple. TOUR GUIDE RESPONSE: Grazie from the last M...Venetian ...Remember Me,don't forget !!!! TOUR GUIDE RESPONSE: thank you very much Tessa, it's was a beatiful time together you!!! Two hour early morning walk around Venice with Ermanno was lovely. His sense of humor and knowledge of this gem of a city made it all the more fun. Great way to see the city without the throngs of other tourist! TOUR GUIDE RESPONSE: Thank you very much !! Outstanding tour. Great way to see a very congested city. Highly recommend!!! Great Tour - outside St Mark's Square. Ermanno is a wonderful guide, full of energy and we especially enjoyed the bits of trivia he shared with us about Venice, making the city come alive. We clocked in a total of 15,000 steps in 2 hours as he led us in and out the maze of alleys and he always had some story or other to tell us. Ermanno loves Venice and it's obvious with his enthusiastic narrative of the history of Venice and/or whatever is left. I would highly recommend this tour with Ermanno. Ermanno was excellent! He was very knowledgeable and he gave us a wonderful tour of some of the "must-see" sites in Venice along with some areas off the beaten path. He worked with our schedule, getting us back to our hotel in time for a quick lunch before we left for our cruise. We had a wonderful morning tour in Venice thanks to Ermanno! TOUR GUIDE RESPONSE: Thank you very much , you are wonderful people !!!! Perfect tour of Venice away from the crowds. We started at 8am in the Rialto markets and then Ermanno took us walking through the real Venice, where venetians actually live. We saw beautiful churches, ancient buildings and piazzas and we finished the tour in the Jewish ghetto area. Ermanno is a very proud Venetian and has an incredible knowledge of the city and its history and how perfect to be shown around the city by someone who actually grew up there. Thoroughly recommend this tour and Ermanno. TOUR GUIDE RESPONSE: thank you Mary and Jodie ,next time remember you got a friend in Venice . We really enjoyed our time with Ermanno learning about Venice from a native Venetian. He has a wealth of knowledge and shared it freely with us in a fast paced tour of the city. While we enjoyed the famous sightseeing locales, our favorite part of the tour was walking through the quieter streets of the city and soaking up Ermanno's knowledge. This tour was great for an initial introduction to the city and we highly recommend it! TOUR GUIDE RESPONSE: Thank you very much, wonderful Family.You know now you got a real friend in Venice . Ermanno is an excellent guide. Very knowledgeable about Venice and a pleasure to be with him. He made Venice come alive and each old building and passageway give up its secrets. We would recommend him without hesitation. Ermanno promptly greeted us at the meeting local. We were 2 short in our group as my daughter was not feeling well. He offered to alter the tour to accommodate; very nice of him, although she had already returned to the hotel to rest. Our guide was personable, knowledgeable and most friendly. Would definitely recommend his tour! TOUR GUIDE RESPONSE: Thank you very much !!! Kiss at you daughter...and you . Ermanno was very amusing and exciting to tour with. He is the real deal. Living from the mind and heart. Generous and connecting. Highly recommended. TOUR GUIDE RESPONSE: Thank you very much . Ermanno was friendly enough, but did not seem to have enough depth of knowledge. We also disappointed that with several of the sites closed for the holiday, that we could not use the extra time to see things that were on the agenda. We did not get to see The Basillca San Marco, or the Church of San Giovanni i Paolo on the inside, and really had a rather cursory walk through the Ghetto. Of all the tours we have had this trip from Tours by Locals, this was the weakest performance we have experienced. TOUR GUIDE RESPONSE: I'm sorry, But I m disappointed by you,I'm not to have enough depth of knowledge?? Look other feedback please..It was not my fault if you came to Venice ( Italy) May 1st ,it's a Big holiday all over.You did not get to see The Basillca San Marco, or the Church of San Giovanni i Paolo on the inside,Because it's not including at the tour itinerary.I'm disagree with you at all, maybe was your not best day to come in Venice. TOURSBYLOCALS RESPONSE: ToursByLocals are committed to quality customer experiences and take all feedback seriously. We appreciate any learning opportunity to improve the quality of tour experiences and we have taken necessary action to address the issues raised in this review. Ermanno was a great guide to show us a side of Venice that many tourists don't get to see. His tour through some of the backstreets really allowed his passion for the city to come through as a true Venetian. We would highly recommend Ermanno to anyone wanting to get to know Venice. TOUR GUIDE RESPONSE: Thank you ,very much !! Friendly true Venetian who shared his passion and knowledge of this beautiful city eloquently. Helped us discover Venice off the beaten track! We asked for an alternative tour and got exactly what we wanted. Ermanno gave a most enjoyable & informative tour. He is charming & knowledgeable, we enjoyed every minute. I could not recommend him highly enough! TOUR GUIDE RESPONSE: Thank you very much !! You are real 4 amazing irish girls.Give an extra kiss your Mom . Ermanno made our first day in Venice so special. He had so many nice local details to share. Ermanno was a wonderful guide! He took us on back streets, pointed out things we never would have seen , answered all our questions and tailored our tour to our interests. TOUR GUIDE RESPONSE: Thank you very much ! You wonderful people. Ermanno is absolutely a fabulous guide for Venice, Ermanno provided an in-depth tour of Venice with all the authenticity of a true Venician. Ermanno took us on a walking tour that will be a lifelong memory for our family. We could walk at our own pace and stop and take in more at sites that were of more interest to us. From Piazza San Marco through all of the various islands and cathedrals, we gained insight to Venice that we feel fortunate to have experienced thanks to out guide, Ermanno. TOUR GUIDE RESPONSE: Thank you !!! TOUR GUIDE RESPONSE: Thank you very much ..wonderful people !!! Ermanno was very professional and very accommodating. Growing up as a Venetian, his love for Venice as well as his knowledge and personal insights made this an outstanding tour! Ermanno is a great guide and we enjoyed walking around Venice with him. He shared many stories with us and was very informative. TOUR GUIDE RESPONSE: Thank you Helen !! Very knowledable, we had and excellent tour with Ermanno. We saw all the sights, learned a lot, and had a lovely time. I'd highly recommend him to my friends and family. Ermanno was great, we experienced venice from the small neighborhoods and the back streets. Saw allot that most people don't realize is there. Very knowledgeable and professional. TOUR GUIDE RESPONSE: Thank you,wonderful people !!! A great tour for insiders view of Venice history and beauty. Our family really enjoyed this tour! We have a 13 and 17 year old. Thank you Ermanno! TOUR GUIDE RESPONSE: Thank you Natalie and all your wonderful family. Nice, knowledgeable, patient and funny. A must in a city where it's so easy to get lost. TOUR GUIDE RESPONSE: Thank you Alain and your wonderful family !! Ermanno was wonderful!! He was flexible with our schedule and really took the time to show us the authentic Venice!! What a thrill seeing the real Venice from a true Venetian!! My teenage children enjoyed our time with Ermanno as well!! Thank you, Ermanno, for a fabulous day in Venice!! TOUR GUIDE RESPONSE: OMG what's a wonderful family!!! Thank you very much Tiffany and thanks your nice children ,it was a special experience with such a wonderful people. Thank you ,thank you everybody. Perfect tour, especially if you have little time. Got interessting insides of Venice as well as historical facts. Perfect, polite and funny guide. Saw lots of places off the mainstream. Must do Ehen first coming to Venice. Thank you very much Ermanno! TOUR GUIDE RESPONSE: Thank you Matthias !!! Ermanno was our 1st of many Venetian surprises! He is a most excellent guide, not only because of his Venetian roots, but because of his style and compassion for Venice, and his 'inside' knowledge. We learned so much in our 3 hour tour, at our pace. We strongly recommend Ermanno for your tour - he is truly one of Venice's gems! Bravo Ermanno! TOUR GUIDE RESPONSE: thank you very much..You wonderful people..
Ermanno is great! He's a Venetian in Venice! He's very proud and knowledgable of his hometown. The entire tour, including his insight and tidbits of information, was excellent. We had a most enjoyable and memorable morning with him. Very comprehensive walking tour with a great deal of knowledge. Entertaining and we managed to cover 8.5 kms in 3 hours. Highly recommended as it was extremely enjoyable. Ermanno was a very good guide. Excellent English. He gave us a good tour to help us understand the history of Venice. Ermanno is a real Venetian and loves his city.....knows it from living it. He is a rare asset. Casual, but factual. Excellent tour! TOUR GUIDE RESPONSE: Thank you.You wonderful people!! We had a wonderful morning touring Venice with Ermanno as our guide. He met us at our hotel and modified the route to accommodate our afternoon schedule. 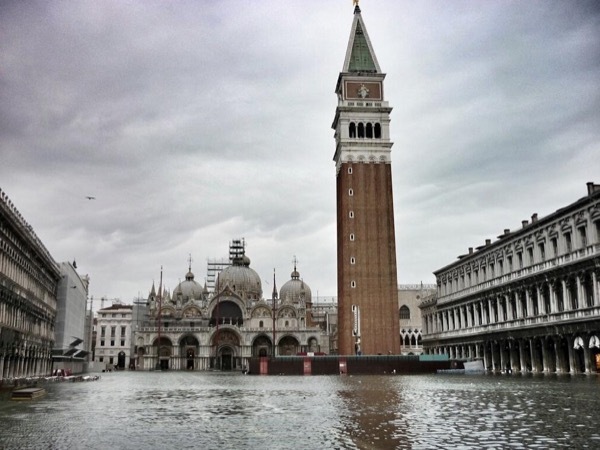 Since we had been to Venice previously, we opted to focus on visiting less-known areas. Ermanno kept us entertained with non-traditional stories of the past and with life for locals of today. We would highly recommend him for you - and hire him again for ourselves. TOUR GUIDE RESPONSE: Thank you very much ! !Wonderful people..
Ermanno did a wonderful job showing my family around Venice. As a native, he shared with us his experiences growing up in the city and how things have changed over the last 50 years. He provided us with historical context to the beautiful churches and architecture, which made what we were seeing more meaningful. We would definitely recommend Ermanno to guide you through his hometown. His passion and enthusiasm are contagious. Ciao. TOUR GUIDE RESPONSE: Thank you, Wonderful Family !!!!! Ermanno's presentation of his beloved city is outstanding. He is exceptionally knowledgeable and entertaining. We were very impressed with his stories regarding little known tales and historical details about this remarkable place. His genuine love of this treasured city is reflected in his tours. TOUR GUIDE RESPONSE: Thank you very much...wonderful people !! What a fantastic morning ! Ermanno took us to the real Venice answering all our questions and sharing us more than we expected. The backs streets , doors and areas that tourists never see. Thankyou Ermanno for making our time in Venice memorable. TOUR GUIDE RESPONSE: Thank you !! Wonderful people !!! Ermanno was a great guide for our second visit to Venice and provided us with more perspective on the history and evolution of his great city. He kept the tour interesting and fun and we were happy that he likes to walk! TOUR GUIDE RESPONSE: Thank you very much Brian !! My Mom is ok ..everything is ok even she's weak ..surgery pefect.. ..thank you ..wonderful people !! Ermanno is a life long resident of Venice but he was very critical of his town. We also had to listen very carefully and look at his face to understand his english. We had requested a tour of the less touristy sites which was our mistake because what we saw was a lot of the more distressed areas rather than unique charming sections. TOUR GUIDE RESPONSE: for Perfect People !! !Thank you very much ! It was an excellent tour. Ermanno was an excellent guide with a wealth of historical knowledge. An extremely interesting morning. Venice is a very interesting place. TOUR GUIDE RESPONSE: Thank you wonderful people !!! Ermanno gave us a great tour of Venice, taking us off the beaten path to very interesting and important places in San Marco. He will tell you the story of the infamous Casanova and show you where he was "active", as well as the real story of Marco Polo! HIGHLY RECOMMENDED! TOUR GUIDE RESPONSE: Thank you very much indeed!!!! Ermanno was a wonderful tour guide! He showed us the Venice that the locals reside in....he was also incredibly positive in 100 degree weather! TOUR GUIDE RESPONSE: Thank you very much ,You are wonderful people !! Superb behind the scenes tour of Venice in 2 hours - away from the crowds and a chance to ask all the questions you want about this truly unique place from an actual Venetian. Ermanno is informative, interesting, funny and considerate - with 30 years experience in the tourism business as well. But it's his insider knowledge, and his passion for his home city, that makes this tour really special. Worth every penny - has whetted our appetite for a second visit. TOUR GUIDE RESPONSE: Thank you wonderful family !! Loved this tour - so good to steer away from the crowds and see where the the real Venetians live. Ermanno was fabulous; so much information about the history, culture and people of Venice. We had our 3 children (22, 19, 16) and they really enjoyed it too. Would definitely recommend. Ermanno is smart, energetic and native Venetian, so he knew all the great stories and history. We would highly recommend this tour with him to anyone and be prepared to be entertained. TOUR GUIDE RESPONSE: Thank you very much wonderful people !! After this tour is was so much easier to navigate through the streets of the beautiful city of Venice. Ermanno is a fantastic guide. He is one of the few remaining Venetians and the pride and love of his city was evident in the way he shared Venice with us. TOUR GUIDE RESPONSE: Thank you very much,wonderful family !! My sister, brother-in-law and I recently had a three hour tour with Ermanno in Venice. He was the best guide! Firstly, he was a real Venetian who has lived there all his life, and secondly, he was passionate about his city and it's history! We learnt so much from him from the Jewish Ghetto district and how it got its name, the symbols over the doorways of houses, to why the gondoliers are all painted black, and the first real Venetian masks. And much more! Ermano was an excellent guide, very knowledgeable and very passionate about Venice. He tailored the tour to our particular interests and entertained us with quirky facts and a great sense of humour. We would highly recommend him. Ermanno was a delight! We enjoyed his great knowledge and delightful sense of humor. We learned so much about the real off the beaten path Venice thanks to his good work! Ermanno was a very knowledgeable guide and showed us parts of Venice we would never have seen. He even gave us a dvd of Venice to take home. It was the last of 14 days traveling and our group was very tired, he was patient and enthusiastic. Would surely recommend him for a highlight and behind the scenes tour that avoids the crowds. Our tour with Ermanno did not disappoint. It was our first time in Venice and he did a wonderful job acquainting us with this beautiful city!!! He kept our children (ages 10 and 12) engaged and interested throughout the tour. We were all so thankful for his knowledge and love of Venice, it was contagious!!! Ermanno was an outstanding guide, passionate about Venice and it's people, very knowledgeable about local history, highly personable and a wonderful communicator. A hugely enjoyable experience that added considerably to a memorable trip to Venice. Went on a tour of Italy with my 75-yr old mother, and we had a great time walking around Venice with Ermanno. I highly recommend this tour and would hire him again. We both enjoyed learning about all the stories Ermanno shared of Venice's rich history. Furthermore, he accommodated my mother's needs and tailored the tour to her pace. Grazie, Ermanno! TOUR GUIDE RESPONSE: Grazie To You!! Both wonderful people !!! We enjoyed the tour very much. Ermanno is a very knowledgable guide and proud venetian. He also showed us a lot of interesting places away from the main tourist tracks. Loved this tour although it was very rushed .. Our fault due to delay at leaving our bags at cruise .. Would love to re-visit at a gentler pace ... Great .. Interesting guide ... We'll done ! TOUR GUIDE RESPONSE: Thank you very much Mary and friends. Great guide. Prompt and waiting for us as we exited the ship. Gave us wonderful insight into his city and the history of his city. The fact that he is a Venetian by birth added to the authenticity of what he had to say. Highly recommend. Ermanno is an excellent guide. We took his 3-hour walking tour and saw more than we ever could have expected. He explains the sites and their importance, and chooses not to overwhelm you with dates that will soon be forgotten. He loves his city and explains why it has been so relevant for such a long time. Moreover, he is friendly and accommodating. I would heartily recommend him to any tourist. And, if you tell him you like stories, you will be especially pleased. TOUR GUIDE RESPONSE: Thank you Allen and wife,you are both wonderful.people.It was my pleasure to guide you in Venice . Ermanno was very personable and the tour was delightful. We left with an appreciation of Venice we never would have developed had we ventured out on our own. Excelent tour. we had a great time learning and visiting. I highly recomend it. TOUR GUIDE RESPONSE: Thank you very much ,wonderful family !! Ermanno was an excellent guide. Knowledgeable and easy to be with. We enjoyed our walking tour of Venice. Thank you! TOUR GUIDE RESPONSE: Thank you very much,nice family.